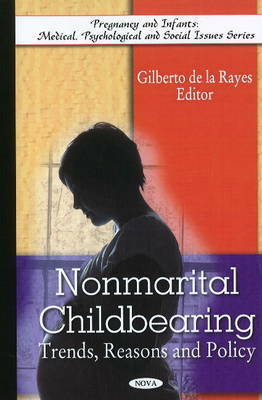 This book explores the significant increase in non-marital births in the United States, the possible reasons behind the change, and things that can be done to control it. In 2006, a record 38.5% of all United States births were non-marital births. Many of these children grow up in mother-only families. Although most children who grow up in mother-only families or step-parent families become well-adjusted, productive adults, the bulk of empirical research indicates that children who grow up with only one biological parent in the home are more likely to be financially worse off and have worse socio-economic outcomes (even after income differences are taken into account) compared to children who grow up with both biological parents in the home. This book analyses the trends in non-marital childbearing, discusses some of the characteristics of unwed mothers, addresses some issues involving the fathers of children born outside of marriage, covers many of the reasons for non-marital childbearing, examines the impact of non-marital births on families and on the nation, and presents the public policy interventions that have been used to prevent non-marital births or ameliorate some of the negative financial consequences that are sometimes associated with non-marital child-bearing. This is an edited, excerpted and augmented edition of a NVSR publication.